Motherhood. Birth. All experiences are different for each person. There are mothers who have children through birth. There are mothers who have children through adoption. Some mothers give birth vaginally and others through cesarean. Which ever way your story goes, it is your story and nobody should ever judge you for it. Being pregnant and giving birth is one of the hardest things I've ever gone through. 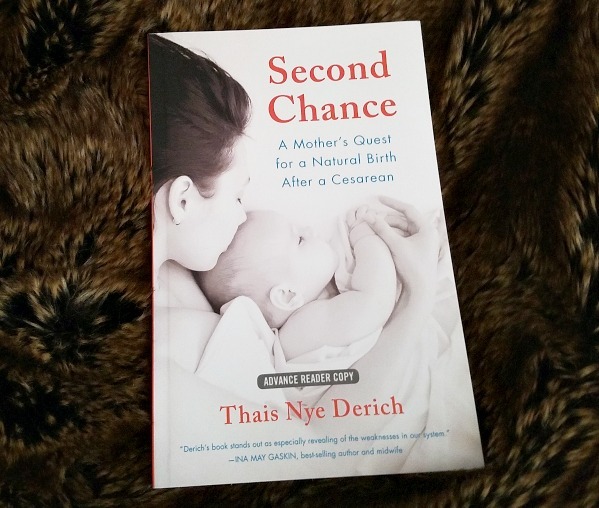 Second Chance: A Mother's Quest for a Natural Birth After a Cesarean is a heart warming story about the Author's choice and quest for a different birth the second time around. She goes through a lot of self discovery through the process. I enjoy reading and hearing of other women's birth stories. In a way, its a sense of connecting and knowing that we all go through similar situations. Sometimes these experiences are hard and upsetting. In the beginning of the book the author shares about calling her birth mother/biological mother. There is a sentence that the mom says that seems harsh and sad. I already started crying and its only the beginning of the book. Being adopted the book already hits home. But as a 6 month old I luckily had no memories of my motherland. Thais was a young child, with 2 other siblings when her mother gave them up. I couldn't even imagine leaving my 3 kids. Sure some days they make me nuts and I want to jump in the car and drive. As mothers we go through many emotions and this starts at pregnancy. In this book, you will see that the first birth can be scary and nerve wracking. You can read all the books and take breathing classes but situations can occur to make your perfect birth...well, not what you had hoped for. I too had a rough first birth, but it didn't end in a cesarean. Some of my family members think it should have. I wasn't happy with the first birth and with my 2nd and 3rd I did not want any more vacuum assisted births. My second birth happened to be the easiest...and when I say easy, it wasn't painless. It was the quickest. I really like that the author, Thais Derich has become an advocate for mothers to be more well informed. It is possible to have a natural birth after a cesarean but there are hospitals that do not like the risk. You need to seek out other sources and learn what is right for you and your family. I have known moms who have had only cesareans, I myself have had 3 vaginal births. I also have a friend who needed to have a cesarean the second time around. I think the main thing is that we all want healthy and happy babies. Please pick up a copy of this book on Amazon, release day will be May 9. We all need to share our stories with each other. Not to scare each other but to know our choices. I have a copy of the book to giveaway to one of my readers. Maybe you know a mom who went through a similar situation like the author did or maybe you went through it too. Do you have a birth story or an adoption story? I'd love to read them in the comments. This giveaway is open to US, 18+ only. Fill out the rafflecopter form. Just did some entries. I have three pregnant friends right now. Thanks! Thank you, Shauna, for this heartfelt review! I tweeted. I have 4 vbac babies so this is an awesome book. @MomKnowsBest You're amazing! Let's connect! This looks amazing! I work with pregnant women and know so many who had c-sections and were told automatically there was no change to have a vbac! I would love to read this and share this info!! My niece would love more information on this subject after having an unplanned C-section.